Pashupatinath is the largest Hindu temple and considered as holiest of all Hindu pilgrimage destination in Nepal. The holy temple itself is also considered as head of Shiva. The temple is located at the side of holy river bagmati, 6 km east of Kathmandu valley. The temple is made up of two tiered golden with four silver doorways. There is a belief that the temple was built before the beginning of Christian era. Although it was built around 5th century and later on it was renovated by Malla kings. The temple is aesthetically sculpted, carved with various stones. It consists of thousands of Shiva-Linga, and other deities as well. The main temple of Pashupatinath is made up of Pagoda style and has a gilded roof with wood carvings of the finest quality. The inner sanctum of the pashupatinath consist the largest statue of Nandi the bull, the vehicle of Shiva. On the top left side of the inner compound, the temple of lord Basuki(King serpents) and on to the right side of the inner compound, the temple of Lord UnmattaBhairav (incarnation of Shiva) is situated. Nearby, there is a Shiva’s consort Sati Devi temple named as Ghuheshwori. Only Hindu’s are allowed to enter the temple of Pashupatinath. The big festival that occurs once a year called “MahaShivaratri” in spring attracts hundreds of thousands of devotees from within Nepal and from India. 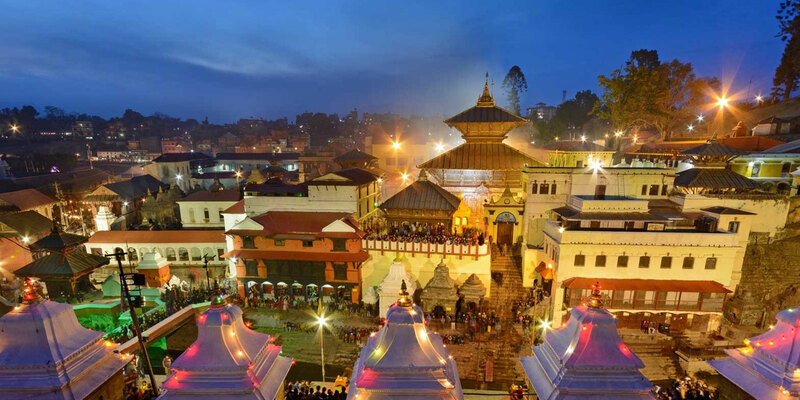 Pashupatinath temple is listed as world heritage site.